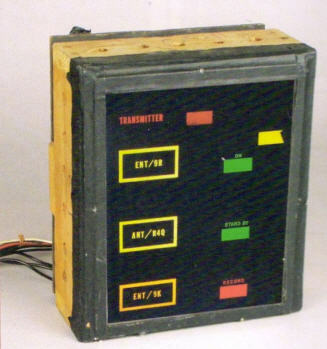 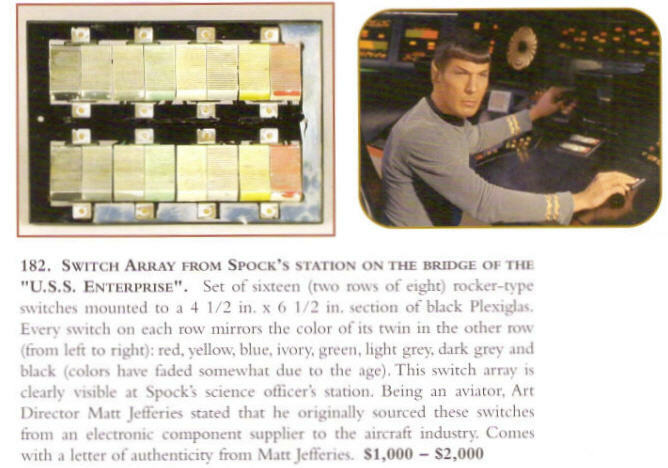 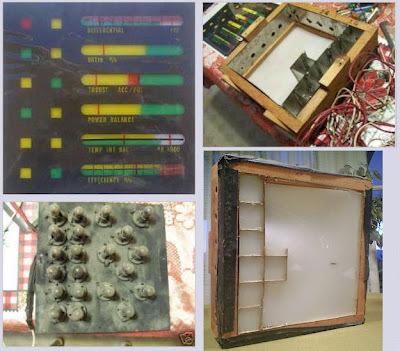 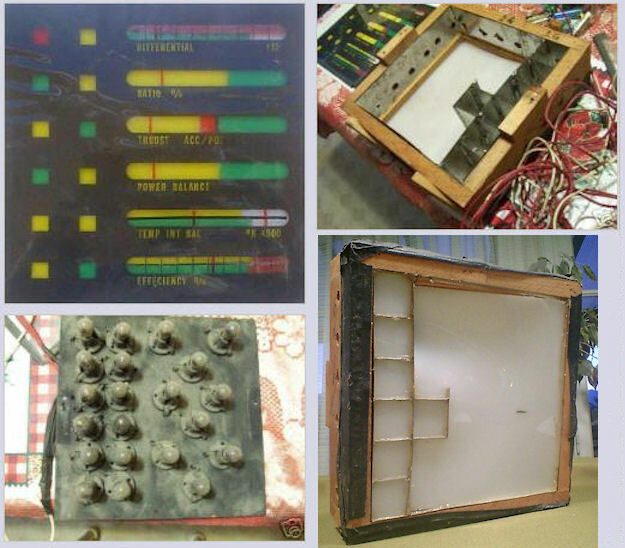 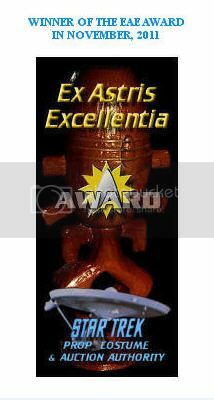 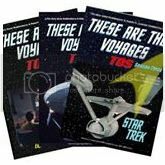 The Profiles In History Bob Justman Star Trek Auction in June, 2002 was the only large public offering of Star Trek TOS screen used control panels and the first opportunity for many collectors to gain insights on their construction details. 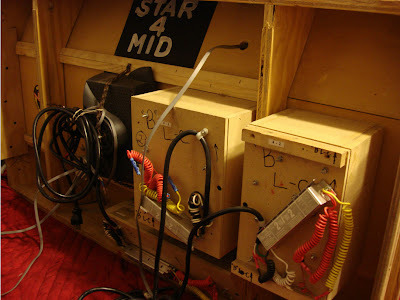 All of the control panel lots at auction came from the estate of an individual who was contacted by a friend at Paramount in 1969 at the time that the Original Series sets were being dismantled and destroyed; and he was literally given the opportunity to take any items of interest before they were thrown out. 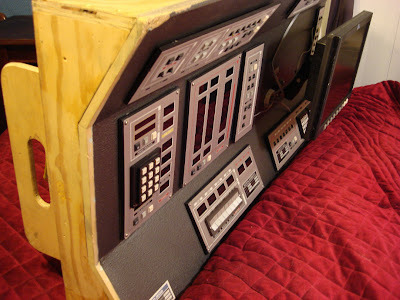 In addition to the many control panels that he salvaged; this gentleman saved-from-destruction and was the long-time owner of Captain Kirk's Command Chair - now on display at the Science Fiction Museum in Seattle. 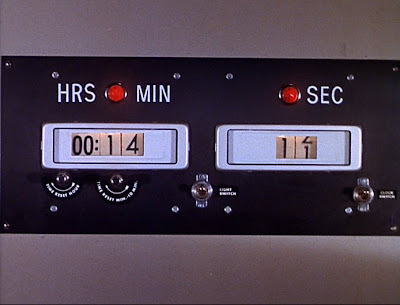 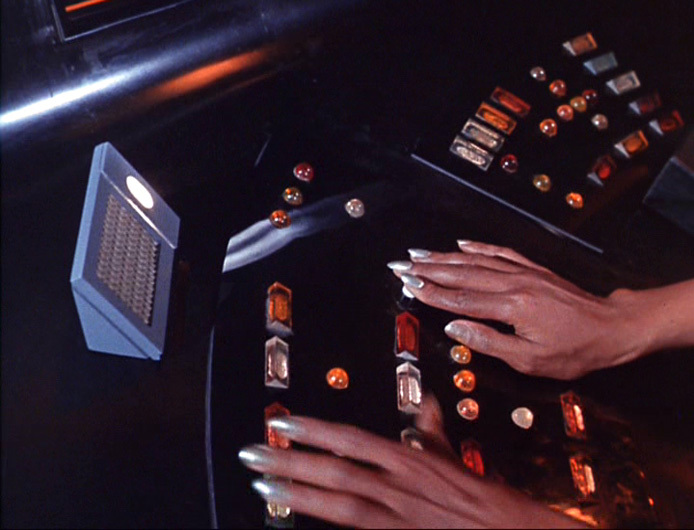 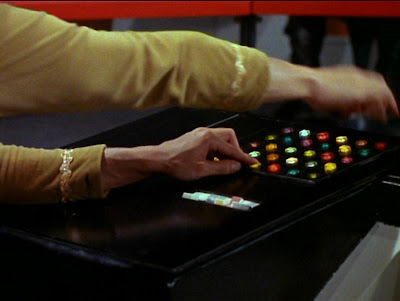 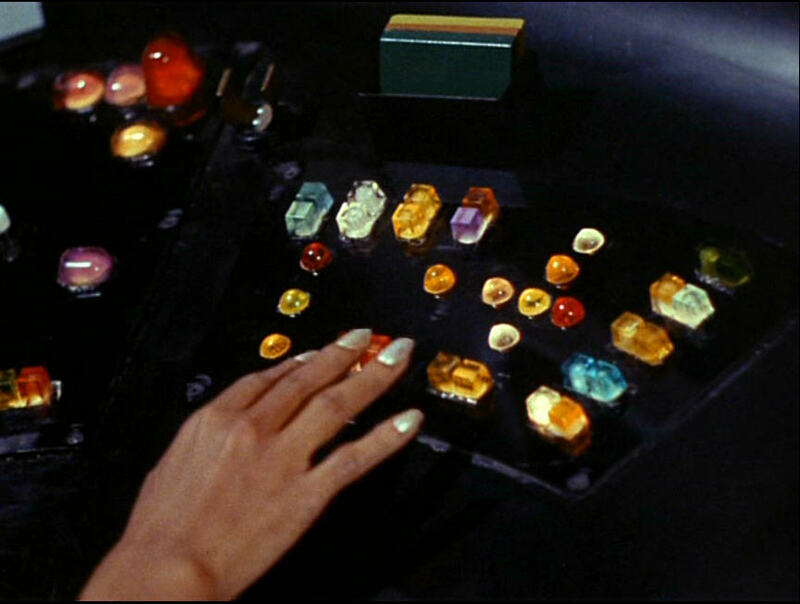 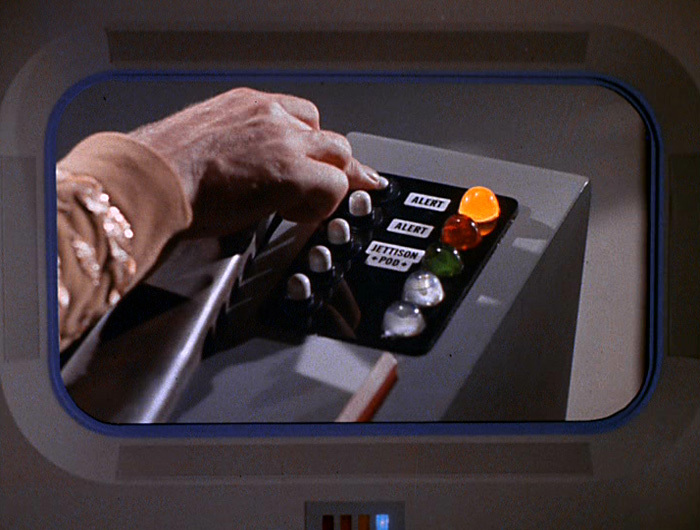 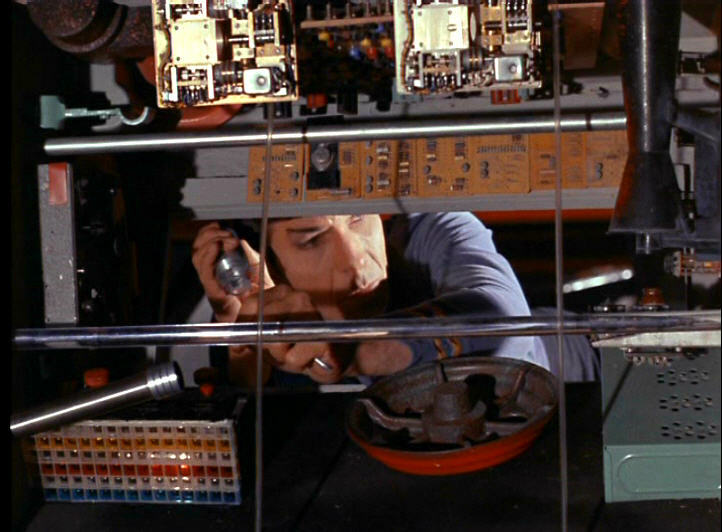 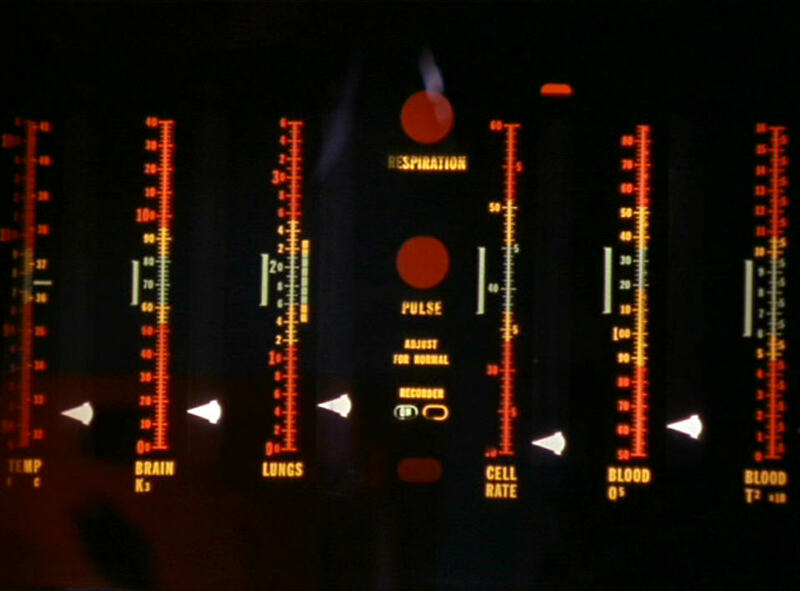 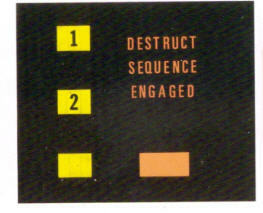 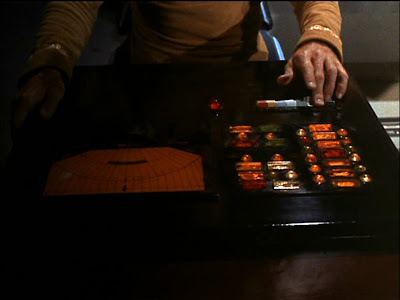 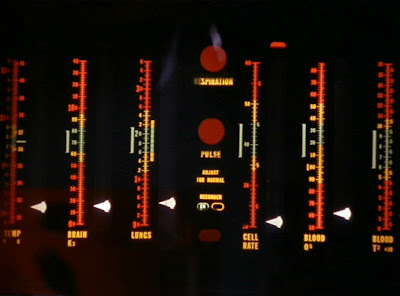 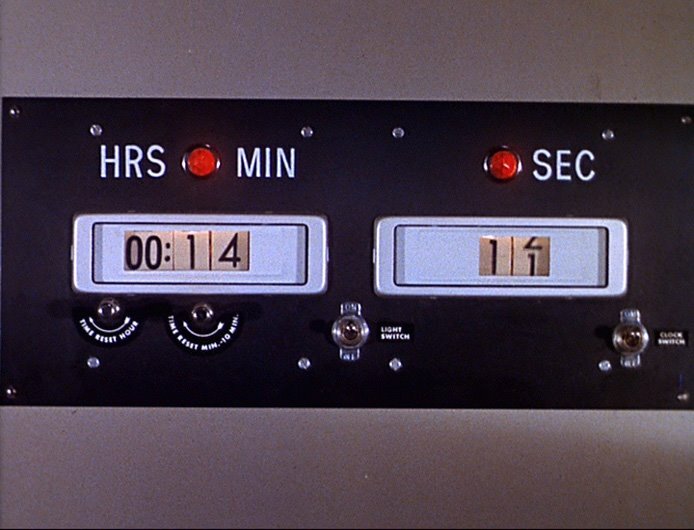 The control panel props used on TOS were more sophisticated than simple multicolor resin circular and square buttons glued to black plexiglass. 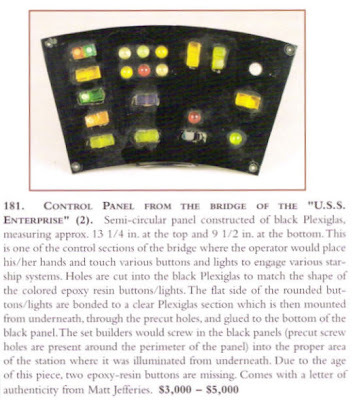 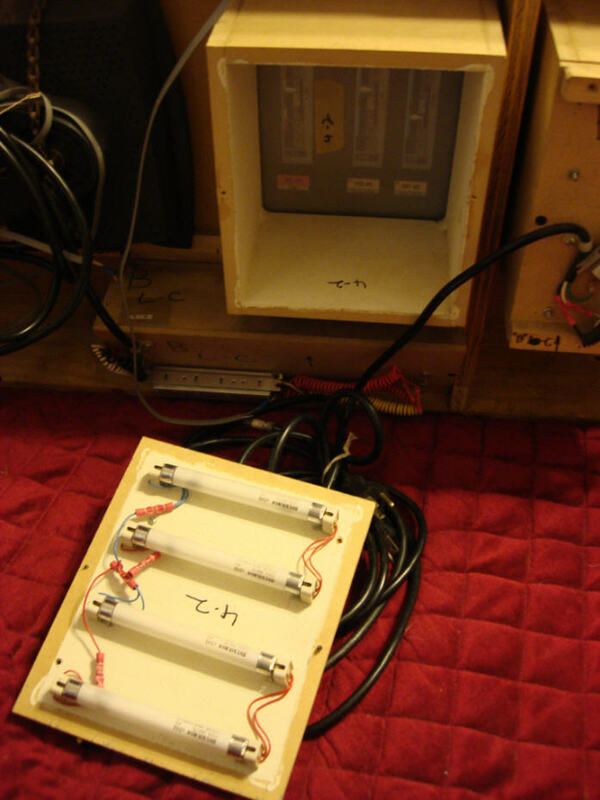 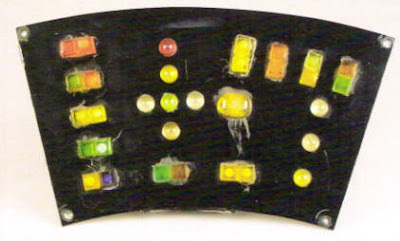 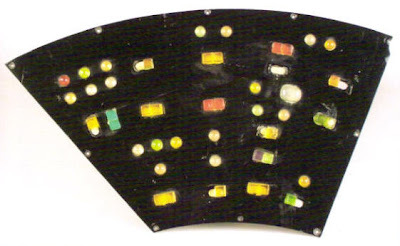 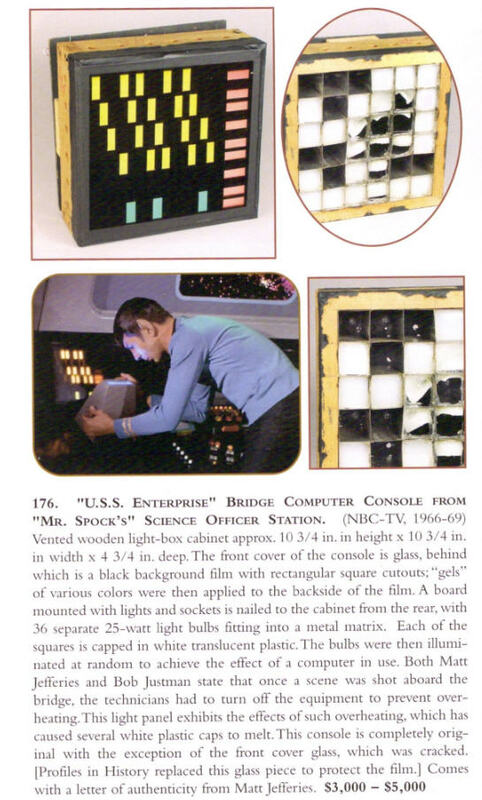 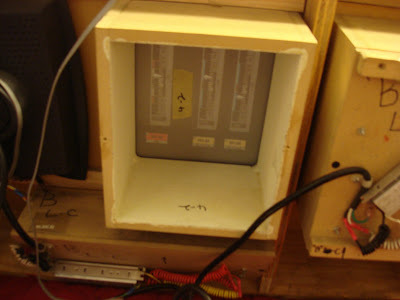 Many of these resin buttons had inset lights or were illuminated from underneath (with elaborate wiring harnesses and other circuitry to randomly flash different bulbs) to create the illusion of a functioning Starship computer interface. 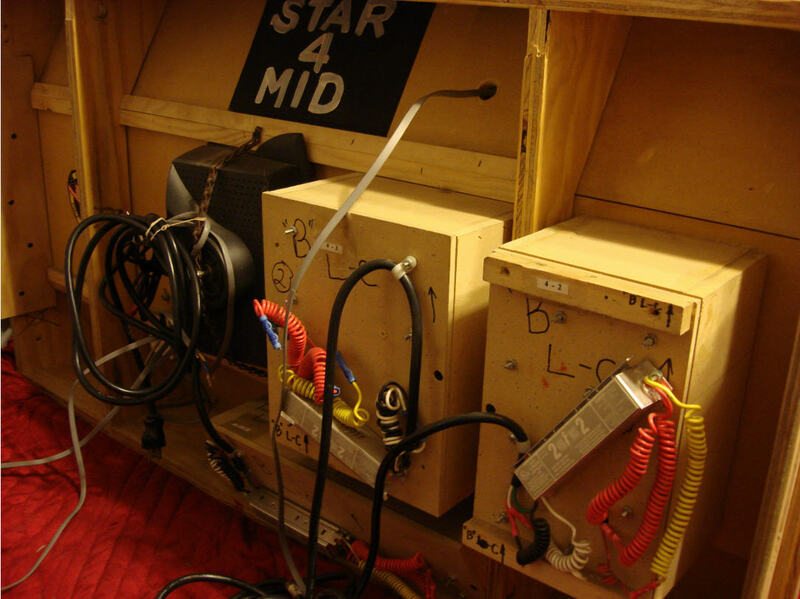 In addition to the resin components, real aircraft switches and lights also adorned the U.S.S. 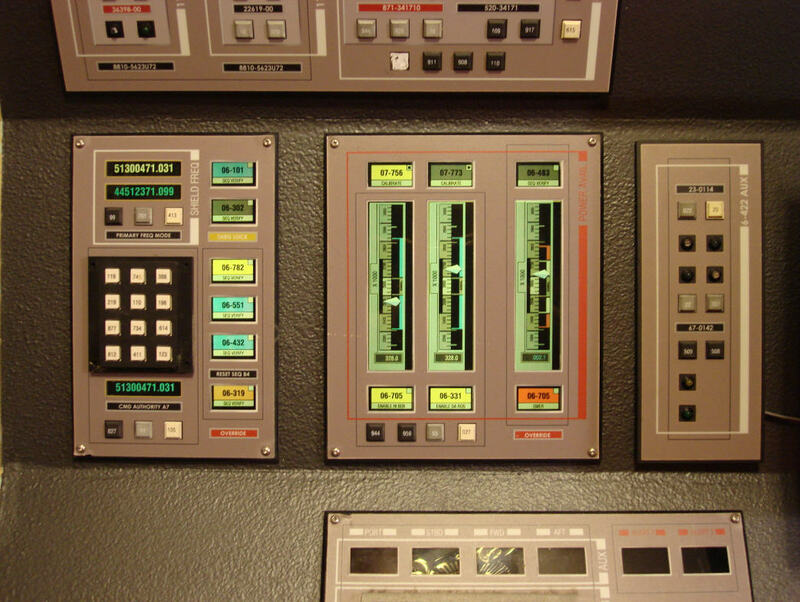 Enterprise control panels - a result of Art Director Matt Jefferies background and industry contacts as an accomplished aviator. The detailed writeups contained in several of the Profiles auction listings from 2002, which are illustrated below, provide excellent additional insights on panel construction and design issues; such as overheating - which was a primary concern of the technical crew.